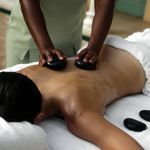 The BodyHoliday on the pretty Caribbean island of St Lucia is nirvana for solo travellers. You’ll have your own room with a King-sized bed, plus a choice of restaurants, water sports, fitness classes and a daily spa treatment included in the price. Action-packed or chilled - you choose. 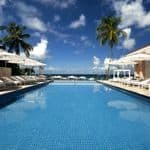 Here’s a luxury resort that has really thought about what solo travellers want – The BodyHoliday in St Lucia. The resort has a whole wing of attractive single garden view rooms (see photo top right), recently refurnished with a King-size bed and en-suite bathroom. Whenever your choose to travel, your fellow guests will comprise a mix of solo travellers, groups of friends and couples which makes for an easy-going atmosphere and the opportunity, such as a communal dining option, to meet others if you wish. Equally, there’s no enforced mingling so you will feel perfectly comfortable keeping yourself to yourself. The BodyHoliday is all-inclusive so all your meals, drinks, water sports – even water-skiing – and exercise classes are included. However, this special resort goes one step further and includes a 50-minute spa treatment in the Wellness Centre every day as well. Treatment courses and schedules are tailored to suit your personal needs and interests and you can pay for additional therapies, such as Ayurveda. It’s tempting to alternate between the white sand Caribbean beach, swimming pools and Wellness Centre but you’ll also find tennis courts, yoga, bicycles, scuba-diving, archery and a nearby golf course (green fees extra). There’s a choice of three restaurants, plus a piano bar, wine cellar and a beachside deli. For stays between late August and early October, The BodyHoliday hosts its annual September Solos promotion with cocktail parties and dinners for solo guests and there’s no single supplement either. 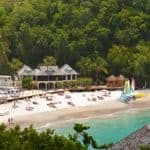 Find out more about holidays at The BodyHoliday in St Lucia.